In October of 2010 my wife, daughters, mother-in-law and I traveled to Miami so my wife could attend a conference. The conference was held in South Beach and from what we heard from friends, South Beach was not child friendly. 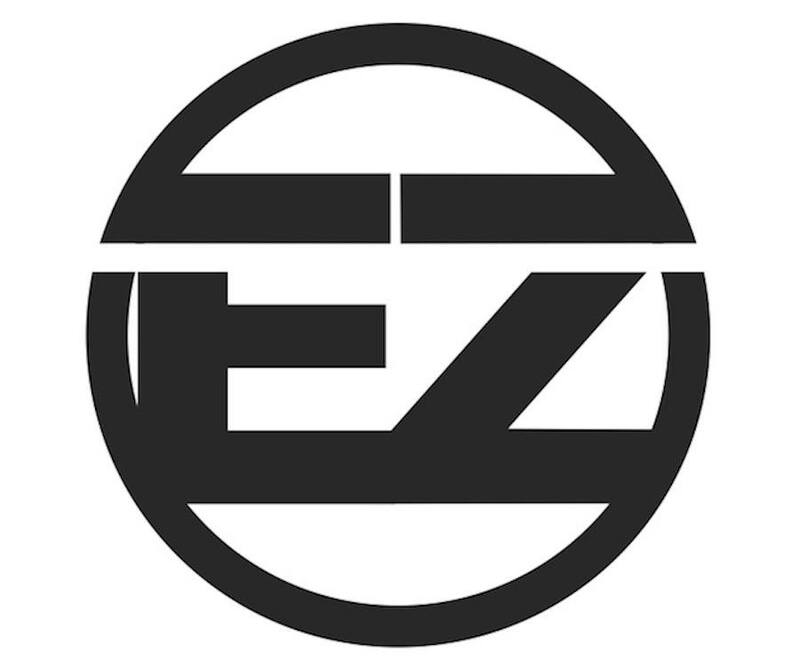 This is the first thing you see when arriving. The Trump International Globe. We found a great deal in Sunny Isles at the Trump Miami Beach Resort. Their prices in October were very affordable. 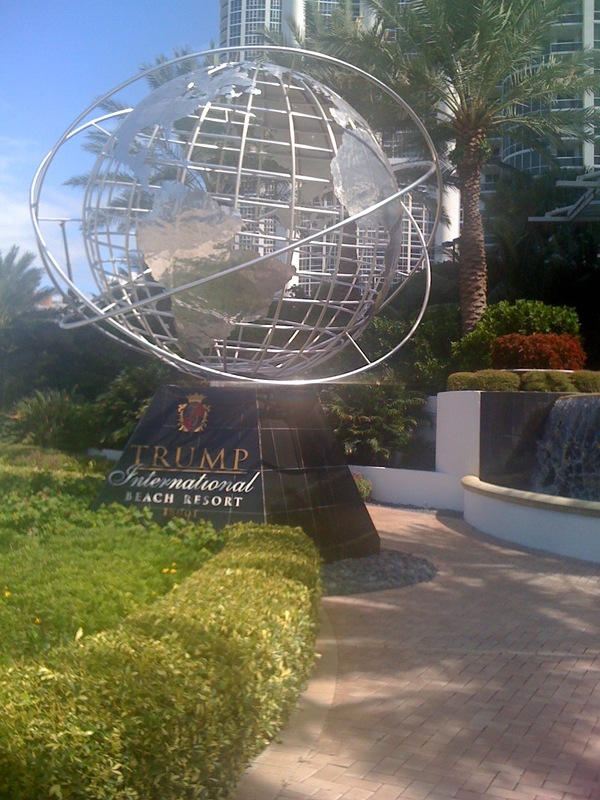 Upon arriving we were welcomed by the Trump International Globe. It was a very nice resort. and it ended up being a bright and beautiful day. The morning we left, a wedding ceremony was being set up. 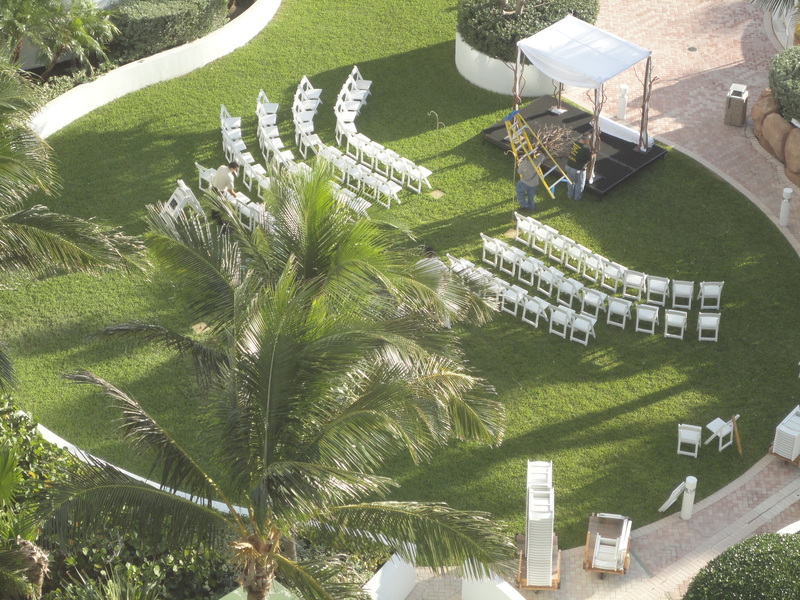 On the day we left the resort, they were preparing for a wedding ceremony. We plan to visit again someday.